The aim of this monograph is to provide a comprehensive overview on the International HRM in Central and Eastern Europe supported by qualitative research results. It is the first available publication on contemporary tendencies in IHRM in Central and Eastern Europe, published and based on the CRANET (the Cranfield Network on International HRM) cooperation. Therefore, there are contributions of experienced and relevant authors active in research and publishing in Central and Eastern Europe. Chapter 13. Corporate Social Responsibility at Kraft Foods Lietuva: to Be or Not to Be Responsible? Acuff, F. (1993). How to negotiate anything with anyone anywhere in the world. New York: American Management Association. Adizes, I. (1979). Organizational Passages –Diagnosing and Truly Lifecycle Problems of Organizations. Organizational Dynamics, Summer, 25. Adler, N. (1983). A typology of management studies involving culture. Journal of International Business Studies., No. 2., 29 & 47. Adler, N. (1986). International Dimensions of Organisational Behavior. Boston: PWS & Kent. Adler, N. (1997). International Dimensions of Organisational Behavior. Boston: PWS & Kent. Alas, R. & Svetlik, I. (2004). Estonia and Slovenia: Building Modern HRM Using a DualistApproach. In: Brewster, C. & Mayrhofer, W. & Morley, M.: Human Resource Management in Europe Evidence of Convergence? London: Elsevier. Allee, V. (1997). 12 Principles of knowledge management. Training & Development, 11, 71-74. Amstrong, M. (1999). Human Resource Management Practice. London: Kogan Page. Anderson, C. (1997). Values & Based Management. Academy of Management Executive, 4, 25-46. Antal, L. (2004). At Crossroad of Growth (In Hungarian) Budapest: Közgazdasági Szemle Foundation. Annual Report of Raiffeisen Bank a.d. Serbia for 2011. www.raiffeisenbank.rs. Arah, J. (2006). General Trends in Management Consulting in Central and Eastern Europe. (Proceeding) Prague: FEACO-ESCO. Areddy, J. T. (2005). New Frontier Deep Inside China, American Family Struggles to Cope. The Wall Street Journal, August 2, A1, A6. Ascot, M. (2002). Cultural mayhem. Bangkok: Mercer Roundtable. Bahree, B. & Gold, R. (2005). Pursuit of New Oil Supplies Runs into a Bottleneck. The Wall Stree Journal, June 28, p. A1-A2. Bakacsi, G., Bokor, Császár. Gelei, Kováts. & Takács. (2000). Strategic Human Resources Management. (In Hungarian) Budapest: KJK & KERSZOV Publishing Co., Budapest. Bakacsi, G., Takács, S., Karácsony, A. & Imre, A. (2002). Eastern European cluster: tradition and transition. Journal of World Bussiness, 37, 69-80. Baldwin, T., Danielson, T. C. & Wiggenhorn, W. (1997). The Evolution of Learning Strategies in Organizations: From Employee Development to Business Redeinition. Academy of Management Executive, 4, 47-57. Bamber, G. J. & Lansbury, R. D. (1993). International and Comparative Industrial Relations. A Study of Industrialised Market Economies. New York: Routledge. Bangert, D. C. & Poor, J. (1995). Human resource management in foreign affiliates in Hungary. In: Shenkar, O. (Ed. ), Global perspectives in human resource management. Englewood Cliffs, NJ: Prentice & Hall, Inc.
	Banyár, L. & Brückner, G. (2004). Manager if he is Hungarian. (In Hungarian). Manager Magazin, 5, 24-29. Barakonyi, K. & Borgulya, I-né. (2003). Company Culture. (In Hungarian). Budapest: National Publishing Co.
	Bartlett, C. A. & Ghoshal, S. (1989). Managing across border: The transnational solution. Boston: Harvard Business School Press. Bartlett, C. A. & Ghoshal, S. (1992). Transnational Management Text, Cases, and Readings in Cross & Border Management. Homewood: Irwin. Bartlett, C. A. & Ghoshal, S. (2000). Text, Cases and Readings in Cross & Border Management. Boston: Irwin McGraw & Hill. Bartlett, C. A. & Yoshihora, H. (1998). New Challenges for Japanese Multinational. Is Organizational Adaptation their Achilles Heel? Human Resource Management, 1, 19-43. Bartlett, C. A. & Beamish, P. W. (2011). Transnational Management. Text, Cases and Readings in Cross-border Management. (6th ed.) Boston: Irwin/McGraw-Hill. Baruch, Y. (2002). No Such Thing as a Global Manager. Business Horizons, January & February, 36-42. Bassi, L. J. & Van Buren, M. E. (1998). The 1998 ASTD state of the industry report. Training and Development., January, 1998. BCG. (2012). Rising U.S. Exports—Plus Reshoring—Could Help Create up to 5 Million Jobs by 2020. PRESS RELEASES, Chicago, September 12. Beer, M., Spector, B., Lawrence, P., Quinn & Mills, D. & Walton, R. (1984). Managing Human Assets: The Ground & breaking Harvard Business Scholl Program. New York: The Free Press. Berki E. (2004): Pay convergencies in accession countries. (In Hungarian) Labor Review (Munkaügyi Szemle), I., September: 23 & 29. II., October, 28-32. Black, J. S. Gregersen, H., Mendenhall, M. & Stroh, L. (1999). Globalizing People through International Assignments. Reading (Mass): Addison Wesley & Longmans. Bloom, H. & Meier, H. (2002). Intercultural Management (In German) Berlin: Herne. BNAC Communicator. (1999). Study ties training to higher profits, stock value. BNAC Communicator, HR edition. 18(2). Boas, F. (1975). Nations, langauges and cultures. (In Hungarian) Budapest: Gondolat Publishing Co.
	Bob, A., Bábosik, M., Poór, J. & Williams, A. (1992). The potential applications of Western payroll systems in Hungary) Munkaügyi Szemle, 2, 14-19. Bodrock, P. (2006). The Shakedown. Harvard Business Review, March, 31-41. Bogár, L. (2003). Globalisation and Hungary. (In Hungarian) Budapest: Osiris Publishing Co.
	Bokor, A., Bíró, A., Kováts, G., Takács, S. & Toárniczky, A. (2005). Managerial Opinions on HR. Labor Review (Munkaügyi Szemle), February, 19-24. Borgulya, I. (2004). Company Culture. (In Hungarian) Budapest: National Publishing Co.
	Borgulya, I. (2004). Inter & cultural Communication. (In Hungarian) Pécs: PTE KTK. Boyaciggler, N. A. & Adler, N. J. (1991). The parochial dinosaur: organizational science in a global context. Academy of Management Review, 2, 262-290. Brewster, C. (1991). The management of expatriates. London: Kogan Page. Brewster, C. (1994). European HRM: reflection of, or challenge to, the American concept? In: Kirkbridge, P. (Ed. ): Human Resource Management in Europe. London: Routledge. Brewster, C. (1995). Towards a European model of human resource management. Journal of International Business Studies, 1, 1-21. Brewster, C. (2004). European perspectives on human resource management. Human Resource Management Review, 4, 365-382. Brewster, C. & Scullion, H. (1997). A review and agenda for expatriate HRM. Human Resource Management Journal, 3, 32-41. Brewster, C. & Larsen, H. H. (1992). Human Resource Management in Europe. Evidences from Ten Countries. The International Journal of Human Resource Management, 3, 409-434. Brewster, C., Mayrhofer, W. & Morley, M. (2004). Human Resource Management in Europe Evidence of Convergence? London: Elsevier. Brewster, C., Sparrow, P. & Vernon, G. (2008). International Human Resource Management. London: Chartered Institute of Personnel and Development. Brimm, L. & Arora, M. (2001). Case: Diversity management at Hewlett & Packard, Europe Albrecht, M.H. : International HRM Managing Diversity in Workplace. Oxford. Blackwell Business. Briscoe, D. R. & Schuler, R. (2004). International Human Resource Management. London: Routledge. Buckingham, M. & Coffman, C. (1999). First, break, all the rules. New York: Simon & Schuster. Bucknall, H. & Ohtaki, R. (2005). Mastering Business in Asia Human Resource Management. Singapore: Wiley. Budvar, P. (2003) Employment relations in India. Employee Relations, 2, 132-148. Burke, W. W. (1993). Organizational development: A process learning and changing. Addison & Wesley, Reading & MA. Burton, J. P., Butler, J. E. & Mowday, R. T. (2003). Lions, tigers and alley cats: HRM’s role in Asian business development. Human Resource Management Review, 3, 487-498. Cakrt, M. (1993). Management education in Eastern Europe: Toward mutual understanding. Academy of Management Executive, 4, 63-68. Carell, M., Elbert, N. F. & Hatfield, R. (1995). Human Resource Management: Global Strategies for Managing a Diverse Work Force. 5th edition. Englewood Cliffs (NJ): Prentice & Hall, Inc.
	Carell, M. R., Elbert, N. F., Hatfield, R. D., Grobler, P. A., Marx, M. & Schyf, S. (2000). Human Resource Management in South Africa. Pearson Education, South & Africa. Carell, M. R., Elbert, N. F. & Hatfield, R. D. (2000). Human Resource Management. Fort worth Philadelphia: The Dryden Press. Carrol, G. R. & Hannan, M. T. (2000). The Demography of Corporations. Princeton (NJ): Princeton University Press. Carter, M. J. (2002). Process and Structure in Knowledge Management Practices in British and US Multinational Enterprises. In: Buckley, P.J. : The Challenge of International Business. New York: Palgrave Macmillan. Castells, M. (2005). Network Society. (In Hungarian) Volume One. Budapest: Gondolat & Infonia. Cavusgril, S. T., Ghauri, P. N. & Agarwal, M. R. (2002). Doing Business Emerging Markets. Thousand Oaks: Sage Publications. Cavusgil, S. T., Knight, G. & Riesenberger, J. R. (2008). International Business. Strategy, Management and the New Realities. Uppers Sidle River: Pearson-Prentice Hall. Cerdin, J. L. (2002). L’expatriation. Paris: d’Organisation. Chang, Ch. S. & Chang, N. J. (1994). The Korean Management System. Westport, Connecticut. Chetty, C. & Campbell-Hunt, C. (2004). A Strategic Approach to Internationalization: A Traditional Versus a “Born & Global” Approach. Journal of International Marketing, 1, 57-82. Chiu, W. C. K. (2003). Employee stock ownership plans and organizational integration among workers in the People’s Republic of China. Human Resource Management Review, 3, 407 & 421. Ciesielska, D. (2009). Offshoring Services. Impact on the development of the company. Warsaw: The outbuilding and Wolters Kluwer business. De Cieri, H. D., Dowling, P. J. & Taylor, K. F. (1991). The Psychological Impact of Expatriate Relocation on Partners. International Journal of Human Resource Management, 3. Claessens, S. & Djankov, S. (2002). Privatization in Eastern Europe. Journal of Public Economics, March, 307-324. Clark, T. & Fincham, R. (2001). Critical Consulting New Perspectives on the Management Advice Industry. Oxford: Blackwell. Cole, M. (2005). Cultural Psychology. (In Hungarian). Budapest: Gondolat Publishing Co.
	Common, M. (2003). The World Bank & World Development Report 2003: Sustainable Development in a Dynamic World & Transforming Institutions, Growth, and Quality of Life (Book). International Journal of Technology Management & Sustainable Development, 1, 65-66. Cooley, M. S. (1994). Selecting the right consultant. HR Magazine, August: 100 & 103.
	Cooper, P. & Sharin, W. (1995). Remuneration getting more westernized. Business Eastern Europe., June 13, 1995, 33. Cummings, T. G. & Worley, C. G. (1993). Organization Development and Change. St. Paul: West Publishing Co.
	Cummings, T. G. & Worley, C. G. (1993). Organization development and Change. St. Paul: West Publishing. Curnow, B. & Reuvid, J. (2003). The International Guide to Management Consultancy. London: Kogan page. .
	Csath, M. (2001): Exit from globalization. (In Hungarian) Budapest: Kariosz Publishing Co.
	Csath, M. (2004b). Strategic Planing in 21st Century. (In Hungarian) Budapest: National Publishing Co..
	Cservenyák, T. (2004). Change is inevitable. (In Hungarian) Budapest: Kossuth Publishing Co..
	ČSOB. (2008). Press news - KBC took over Slovak Istrobanka. [online]. [Accessed on 24 October 2011]. Retrieved from: < http://www.csob.sk/o-nas/servis-pre-media/tlacove-spravy?rok=2008 & Page=3. ČSOB (26.3.2008). Press news - KBC took over Slovak Istrobanka. [online]. [Accessed on 24 October 2011]. Retrieved from: < http://www.csob.sk/o-nas/ servis-pre-media/tlacove-spravy?rok=2008 & Page=3> http:// epp.eurostat. ec. europa.eu/statistics accessed on February 11, 2013. Daily News (2005): More than half of FDI in Southeastern Europe enter Romania. Daily News., March 31, 5. Daniels, D. & Radebaugh, H. (1992). International Business Environments and Operations. Massachusetts: Addison & Wesley. Dara, P. & Szetei, T. (2000). Major Changes in HR during the Last Ten Years, (In Hungarian) Human Policy Journal (Humánpolitikai Szemle), 3-11. Davenport, T. H. & Prusak, L. (2001). Knowledge Management. (In Hungarian) Budapest: Kossuth Publishing Co..
	Delany, E. (1998). Strategic development of multinational subsidiaries in Ireland. In. Birkinshaw, J.-Hood, N. (Eds.) Multinational corporate evolution and subsidiary development. New York: St Martin’s Press. Dennis, W. & Bakke, D. W. (2005). Joy at the Work. Seattle: PWG. Detweiler, R. (1980). Intercultural Interaction and the Categorization: A Conceptual Analysis and Behavioral Outcome. International Journal of Intercultural Relations, 4, 275-293. Dewar, R. & Hage, J. (1978). Size, Technology Complexity, and Structural. Differentiation: Toward a Theoretical Synthesis. Administrative Science Quaterly, 23. DGFP. (1990). Learn from experiences. (In German) Düsseldorf: Deutsche Geseltschaft für Personalführung C.V.
	Diamond, J. (2005). Collapse & How Societies Choose To Fail or Succeed. London: Penguin. DiMaggio, P. & Powell, W. (1983). The Iron cage Revisted. Institutional Isomorphism and Collective Rationality in Organizational Fields. In: Powell, W. & DiMaggio, P.: The New Institutionalism in Organizational Analysis. Chicago:University of Chicago. Dobay, P., Hermann, S. & Poór, J. (1981). The observations on the practical organization of a freight transport system in a big city. Kereskedelmi Szemle, part I, 8-9, 71-74. and part II, 11, 23-29. Dobay, P. (1997). Business Information Management. (In Hungarian) Budapest: National Publishing Co..
	Dowling, I., Schuler, S. & Welch, E. (1994). International and Domestic Personnel, Human Resource Management. London: PWS & Kent Publishing. Dowling, P. J. & Schuler, R. S. (1990). International Dimensions of Human Resource Management. London: PWS-KENT Publishing Company. Dowling, P. J. & Welch, D. E. (2004). International Human Resource Management. London: Thomson. Dowling, P. J., Festing, M. & Engle, A. (2008). International Human Resource Management. London: Thomson-Cengage. Doz, Y. & Prahalad, C. K. (1986). Controlled variety: challenge for human resource management in MNC. Human Resource Management, 1, 55-7. Dreher, G. F. & Dougherty, T. W. (2002). Human resource strategy: A behavioral perspective for the general manager. New York:McGraw & Hill Irwin. Drucker, P. F. (1968). The Practice of Management, London: Pan. Drucker, P. F. (1973). Management. New York: Harper & Row Publishers. Drucker, P. F. (1979). Why Management Consultant? In: Zimmer, M., & Smiddy, H.: The Evolving Science of Management. New York: AMACOM. Drucker, P. F. (2003). People not employees. (In Hungarian) Harvard Business Manager, January-February, 20 & 28. Dudás, F., Karoliny, M-né., László, Gy., c Lévai, Z. & Poór, J. (Eds.) (2003). Introduction into Human Resource Management in Public Sector, (In Hungarian) Budapest: Public Sector Institute. Due, J., Madsen, J. S. & Jansen, C. S. (1991). The social dimension: convergence or diversification of IR in the single European market? Industrial Relations Journal, 2, 85-102. Dunning, J. H. (1992). The Globalisation of Business. London: Routledge. Earley, P. & Ang, S. (2003). Cultural Intelligence. Individual Interactions across Cultures. Stanford (CA): Stanford Business Books. Editorial. (2003). Regional recovery and development: The role of HRM in East and Southeast Asia. Human Resource Management Review, 13, 367-372. EEAG. (2004). The 2004 Enlargement: Key Economic Issues. EEAG Report. Brussels: EEAG. Elbert, N. F., Ferenc, F., Karoliny & né, M. & Poor, J. (1999). Human Resources Management Textbook. (In Hungarian) Budapest: Kerszov-KJK. Ellingstad, M. (1997): The Maquiladora Syndrome Central European Prospects. Europe & Asia Studies, January, 7-22. Ellis, J. & Williams, D. (1995). International Business Strategies. London: Financial Times & Prentice Hall. Enderwick, P. (1984). The Labour Utilization Practices of Multinationals and Obstacles to Multinational Collective Bargaining. Journal of Industrial Relations, 3, 354-364. Escbach, D. M., Parker, G. E. & Stoebert, P. A. (2001). American Repatriate Employees Retprospective Assessments of the Effects of Cross & Cultural Training on their Adaptation to International Assignments. International Journal of Human Resource Management, 2, 270-287. Eurostat, (2002). SMEs in Europe competitiveness, innovation and the knowledge-driven economy. Brussels: Eurostat. Evans, A. (1977). Benchmarking. (In Hungarian) Budapest: Kerszov & KJK. Evans, P., Pucik, V. & Barsoux, J. (2002): The Global Challenge: Frameworks for International Human Resource Management. Homewood: McGraw & Hill/Irwin. Fahy, J., Hooley, G., Berács, J., Fonfara, K. & Gabrijan, V. (2003). Privatisation and Sustainable Competitive Advantage in the Emerging Economies of Central Europe. Management International Review, 4, 407-428. Farkas, F., Poór, J. & Engle, A. (Eds.) (2011). Human Resource Management Issues and Challenges in Multinational Companies: Central and Eastern Europe. (Research Monograph) Pécs: University of Pécs. FAZ. (2004). At Siemens Bruchral came cross against China. (In German) Frankfurter Allgemeine Zeitung, 7, Oktober, 20. FAZ. (2004). SAP moves its support funtions to East. (In German) Frankfurter Allgemeine Zeitung, 7, October, 17. FEACO. (1999, 2000, 2001, 2002, 2003 & 2004). Survey of the European Management Consultancy Market: Burssels: Federation European Associations Consulting Organisations. FEACO. (2005). Survey of the European Management Consultancy Market 2004. Brussels: FEACO- Federation European Management Consulting Associations. FEACO- VTMSZ. (2001). Contribution of Management Consultants to the Development and Renewal of Emerging Countries of Europe. (Conference Proceedings) Budapest: FEACO-VTMSZ, June 1st. FEACO-SESMA. (2004). Building a Competitive Knowledge – Based European Economy The Role of Consultant, (Conference Proceeding) Atheens: FEACO-SESMA, 21-22 October. Feely, A. J. & Harzing, A. W. (2003). Language management in multinational companies. Cross Cultural Management: An International Journal, 2, 37-52. Fenn, D. (1994). How to distinguish delphins from sharks. Personnel Management, August, 32-35. Ferenczi, A. (1999). Interview with Andras Faluss. In: Erdélyi, A.: 21 scientiests from 21st century. Budapest: Tertia. Ferner, A. & Hyman, R. (1998). Changing Industrial Relation in Europe. Oxford: Blackwell. Filipović, S. & Petraković, D. (2005). SME Sector Development by Improving Financial Support: Serbia Compared to Other See Countres. South & Eastern Europe Journal of Economics, 2, 273-293. Fisher, C. D., Schoenfeld, L. F. & Shaw, J. B. (1993). Human Resource Management. Boston: Houghton-Mifflin. Fishman, F. C. (2005). China Inc. New York: Scribner. Fombrun, C. J., Tichy, N. M. & Devanna, M. A. (1984). Strategic Human Resource Management. John Wiley, New York. Francesco, A. M. & Gold, B. A. (1997). International Organizational Behavior. Upper Saddle River, Prentice Hall. Frank, S. (2003). Keep something up your sleeve. Timer, September 24. Fraser, J. & Oppenheimer, J. (1997). What is new about globalization? The McKinsey Quaterley, 2. FT. (2004). Understanding Performance Management. Financial Times, October 6. Fukuyama, F. (1992). The End of History and the Last Man. London: Penguin Books. Gaál, Z., Szabó, L. & Kovács, Z. (2005). Analysis of National and Company Cultures. (In Hungarian) OHE Perosnal Journal (Személyügyi Hírlevél), 4, 24-35. Galagan, P. A. (1990). Executive Development in a Changing World. Training and Development Journal, June, 23 & 41. Galbraith, J. R. (2000). Designing the Global Corporation. San Francisco: Jossey & Bass. Garland, J., Framare, R. N. & Taylor, M. (1990). International Dimensions of Business Policy and Strategy. Boston: PWS-KENT. Garvin, D. A. (1973). Building a Learning Organization. Harvard Business Review, July-August, 78-91. Gertsen, M. C. (1992). Intercultural competence and expatriates. International Journal of Human Resource Management, 3, 341-362. Ghafour, A. & Hanware, K. (2005). Abdullah Urges Industrialized Countries to Cut Oil Taxes. Arab News, October 20, 1. Ghoshal, S. & Bartlett, C. (1998). The Individualised Corporation. A fundamentally new approach to management, New York: Haper & Business. Glaser, E. J. (2005). Creating We. Platinum Press, Avon. Glatz, F. (1999). Science in 21st century. In: Erdélyi, A.: 21 scientists from 21st century. Budapest: Tertia. GMAC & GRS. (2002). GMAC & Global Relocation Services, Global Relocation Trends. US National Foreign Trade Council and SHRM Global Forum Survey Report. Goleman, D. (1998). Mastering Emotional Intelligence. New York. Gomez & Mejia, R. L., Balkin, D. B. & Cardy, R. L. (1998). Managing Human Resources. Prenctice Hall, Englewood Cliffs. Greiner, L. (1972). Evolution and Revolution as Organizations Grows. Harvard Business Review, July-August, 37-46. Griswold, D. T. (2002). Mexican workers go to US to Work: Let them. Wall Street Journal Europe, October 25, A10. Gross, A. (1995). Toward Global Convergence in International Business. Cleveland: Cleveland State University. Gross, A., Poór, J. & Roberson, M. (2003). Management Consulting in Central Europe, an Overview. C2M & Consulting to Management Journal, March, 33-39. Gudykunst, W. B. & Hammer, M. R. (1983). Basic Training Design: Approaches to Intercultural Training, in: Landis, D. & Brislin, R. W.: Handbook of Intercultural Training. Vol I, Issues in Theory and Design. New York. Gutmann, B. (1995). Tandem Training: the Volkswagen and Skoda Approach to Know-how Transfer. Journal of European Industrial Traning, 4, 21-24. Hall, E. T. & Hall, M. R. (1989). Understanding cultural differences. Yarmouth. Hamel, G. & Prahalad, C. K. (1994): Competing for the Future. Cambridge: Harvard Business School Press. Hamill, J. (1984). Labour Relation Decision Making within Multinational Corporations. Industrial Relations Journal, 2, 30-34. Hámori, Sz. (2004). Bad Dream of a Hedhunter. (In Hungarian) Hungarian Daily (Népszabadság), November 6, 2 & 3. Hampden & Turner, C. & Trompenaars, T. A. (1993). The Seven Cultures of Capitalism. New York: Currency Doubleday. Hanks, S. H., Watson, C. J., Jannsen, E. & Chandler, G. N. (1993). Tightening the life-cycle construct: A taxonomic study of growth stage configurations in high-technology organizations. Entrepreneurship: Theory and Practice, 2, 5-30. Harris, H. & Brewster, C. (1999). The coffee machine system: how international selection really work. International Journal of Human Resource Management, 3, 488-500. Harris, P. R. & Moran, R. T. (2001). European Leadership in Globalzation. In: Albrecht, M. H.: International HRM Managing Diversity in Workplace. Oxford: Blackwell Business. Harrison, J. R. (2004). Models of growth in organizational ecology: a simulation assessment. Industrial and Corporate Change, February, 243-261. Hatano, T. (1995). Executive Commentary to Pfeffer Jeffrey (1995). Producing Sustainable Competitive Advantage through the Effective Management of People. The Academy of Management Executive, February, 69-71. Hay. (1997). Remuneration Trend Europe. 16th Hay International Conference, Budapest, November 12-14. Haynes, C. (1998). Breakdown the langauge barriers, machine translation, the technology that can no longer be denied. Aslib, London. Henshall, K. G. (1999). A History of Japan: From Stone Age to Superpower. Palgrave Macmillan, London. Herzing, A. W. & Ruyssevelott, J. V. (1995). International Human Resource Management. OU-Sage, London. Héthy, L. & Makó, C. (1972). Workers Attitudes and Socialist Firms. (In Hungarian) Budapest: Academy Publishing Co.
	Hickson, D., Himngs, C., McMillen, C. & Schnitter, J. (1974). Culture free context of organization structure. Sociology, 8, 59 & 80. Hill, C. W. L. (2002). Global Business. Boston: McGraw & Hill. Hiltrop, J. M. (1991). Human Resources Practices of Multinational Organizations in Belgium. European Management Journal, 4, 404 & 411. Hisrich, R. D. & McDougall, P. P. (1997). Cases in International Entrepreneurship. IRWIN. Hofstede, G. (1980). Culture’s Consequences: International Differences in Work Related Values. Beverly Hills: Saga. Hofstede, G. (1991). Cultures and Organizations. Software of the Mind. New York: McGraw-Hill. Hofstede, G. (1993). Cultural Constraint in Management Theories. Academy of Management Executive, 1, 81-94. Hofstede, G. (2001). Difference and Danger: Cultural Profiles of Nations and Limits of Torelanec. In: Albrecht, M. H.: International HRM Managing Diversity in Workplace. Oxford: Blackwell Business. Hoppe, M. H. (1990). A Comparative Study of Country Elites: International Differences in Work & Related Values and Learning Their Implications for Management Training and Development. (Ph.D. dissertation) Chapel Hill: University North Carolina. Hörner, M. (1991). Concept of Rewarding for specific activities. (In German)In: Berthel, J., & Groenwald, H. 2. Volume. 8-15. HR & Portál. (2005). HR in Hungary. Benchmarking Survey. Budapest: HR Portál. Hüttinger, M. (2008). National Cultural Values of the Baltic States, Communication in the Baltic Region: Cultural Challenges, Baltic Journal of Management, Vol. 3 No. 3, pp. 359-376. Hymovitz, C. (2005). To Rein in CEOs’ Pays Why Not Consider Outsourcing the Post? The Wall Street Journal, July 19. I. W. (2004). Relocation from Germany- International Comparison. (In German) Köln: Institute für Weltwirtshaft. IBM-Towers-Perrin. (1991). Priorities for Competitive Advantage. A 21 & st Century Vision: A Worldwide Human Resource Study. An IBM Study conducted by Towers Perrin. New York: IBM-Towers Perrin. ILO. (2004). Working hours. (In Hungarian) Labor Review (Munkaügyi Szemle), April, 27-28. Inkeles, A. (2002). National character, A psycho & social perspective. New Brunswick: Transaction. Internet sources: http:// europa.eu.int/comm/public_opinion/ archives/ebs/ebs_237. en.pdf. Ivancevich, J. M. & Glueck, W. F. (1986). Foundations of Personnel, Human Resource Management. Homewood, BPI-IRWIN. Jackson, J. H. & Morgan, V. P. (1982). Organization Theory. Upper Saddle River: Prentice Hall. Jackson, T. (2002). International HRM A Cross & Cultural Approach. London: SAGE. Jacoby, S. M. (2004). The Embedded Corporation: Corporate governance and Employment Relations in Japan and United States. Princeton. Jakab, A. (1994). Sources of Labor Law in United States. (In Hungarian) Labor Review (Munkaügyi Szemle), 24-29. Jarjabka, Á. (2003). Hungarian national and organisational culture in highlight of Hofstede model. (In Hungarian) Marketing-Management Journal (Marketing-Menedzsment), 1, 29-45. Jarjabka, Á. (2011). Similarities and differences in company cultures in Eastern-Europe. In. Poór, J., & Bóday, P. & Kispál-Vitay Zs. (Eds.). Trends and tendencies in Human Resource Management in Eastern-Europe. (in Hungarian) Budapest: Gondolat Publ. Jarka, S. (2011). Status and prospects of outsourcing development in Poland, Scientific Letters. Warsaw: Economics and Organization of Food Economy, Warsaw Agricultural University. Jennings, J. (2005). Think Big Act Small. Portfolio, New York. JILPT,. (2005). Japanese Working Life Profile 2005-2006. Tokyo: The Japan Institute for Labour Policy and Training, 15. Johanson, J. & Yip, G. (1994). Exploiting Globalization Potential: U.S. and Japanese Strategies. Strategic Management Journal, 579-601. Kamoche, K. (1997). Knowledge creation and learning in international HRM. International Journal of Human Resource Management, 2, 213-225. Kanter, R. M. (2004). Localisation in a global economy. (In Hungarian) Harvard Business Manager, February, 35-44. Karoliny, M., né, & Poór, J. (2003). Human Resource Planning in Public Sector. (In Hungarian) In: Dudás, & Karolinyné, & László, & Lévai, & Poór (eds. ): Introduction in Public Sector HRM. Budapest: Public Sector Institute. Karoliny, M. né., Farkas, F., László, Gy. & Poór, J. (eds.) (2003). Human Resource Management Handbook. (In Hungarian) Budapest: KJK-Kerszöv Publishing Co..
	Karoliny, M. né. (2010). Overview on HRM In: Karoliny M. & né-Poór J. (Eds. ): Human Resource Management. (In Hungarian) Budapest: Complex Kiadó. Karoliny, M. né. & Poór, J. (eds.) (2010). Human Resource Management Handbook. (In Hungarian) Budapest: KJK-Kerszöv Publishing Co..
	Karoliny, M., Farkas, F. & László, G. (2003). Diagnosis about HRM. (In Hungarian) Humanpolitical Review (Humánpolitikai Szemle), 10-11, 3-19. Kasagic, M. (2004). “Human capital as growth factor” (Conference proceeding) 2nd Symposium Central and Eastern Europe Connecting Corporate and Academic Group, 18-19 November, Vienna. Katz, D. & Kahn, R. L. (1978). The social psychology of organizations. John Wiley Sons, New York. Kecman, V. A. (2006). The compensation system, with focus on the wages of managers. (In Serbian) masters thesis. Beograd: Univerzitet of Beogradu & Faculty of Economics. Kelley-Laine, K. & Dominique, R. (2001). Bad stories about globalisation. ( In Hungarian) Budapest: Konkrét Book Publishing Co.
	Kerr, G., Dunlop, J., Hortison, F. & Myers, C. C. (1960). Industrialism and Organisational Man. Cambridge: Harvard University Press. Khamma, T., Palepu, K. G. & Sinha, I. (2005). Strategies that fit emerging markets. Harvard Business Review, June: 63-76. Kieser, A. (1995). Organisational Theories. (In Hungarian) Budapest: Aula Publishing Co.
	Kindler, J. (2002). Rehabilitasion of Emotions. (In Hungarian) In: Kocsi T.: People based Economy. Budapest: Válasz. Kirkpatrick, D. L. (1994). Evaluating Training Programs: The Four Levels. San Francisco: Bernett & Koehler. Klein S. (2001). Managerial and Organisational Psychology. (In Hungarian) Budapest: SHL. Klein, E. (1992). The U.S./Japanese HR Culture Clash. Personnel Journal, November, 30-38. Koenings, J. (2001). The effect of foreign direct investment on domestic firms. Economics in Transition, 3, 619 & 633. Kolman, L., Noorderhaven, N. G., Hofstede, G. & Dienes, E. (2003). Cross-cultural differences in Central-Europe. Journal of Managerial Psychology, 1, 76-88. Kornai, J. (1992). The socialist system: The political economy of communism. Oxford: Clarendon Press. Kotter, J. P. (1996). Leading Change. Boston: Harvard Business School. Kotter, P. J. (1999), Change management. (In Hungarian) Közgazdasági és Jogi-Kerszöv Publishing Co., Budapest. Koubek, J. & Brewster, C. (1995). Human resource management in turbulent times: HRM in the Czech Republic. International Journal of Human Resource Management, 2, 223-247. Kovács, J. M. (2002). Competitive ideas – resistent proposals. (In Hungarian). In: Kovács, J. M.: Holly West never arrived. Budapest: Sík, Budapest. Kővári, Gy. (1995). Development of Human Resources. (In Hungarian) Budapest: Szókratész. Kranhold, K. (2005). General Electric Names Vice Chairmen. The Wall Street Journal, June 24, A4. Kroeber, A. L. & Kluckholm, F. (1952): Culture: Critical Review of Concept and Definition. Peabody Museum Papers, Vol. 47 cited by Adler, N.J. (1991): International Diemension of Organizational Behavior. Boston: PWS-Kent. Krugman, P. R. & Obstfeld, M. (2003). International Economics. Theory and Policy. Boston: Addison-Wesley. Krystek, U. & Zur, E. (2002). Handbook of International Business. (In German) Berlin: Springer. KSH. (2002). Hungarian Statistical Handbook 2003. (In Hungarian) Budapest: Hungarian Central Statistical Office (KSH). KSH. (2003). Labour Force Survey. (In Hungarian) Budapest: Hungarian Central Statistical Office (KSH). KSH. (2010). Foreign Direct Investment. (In Hungarian) Statistical Mirror (Statisztikai Tükör) IV, 16, 2. and http://stats.unctad.org/ FDI/TableViewer/ table View.aspx?ReportId=4031. Kubr, M. (1996). Management Consulting A Guide to the Profession. Geneva: International Labour Office. Kuin, (1972). The magic of multinational management. Harvard Business Review, November-December, 89-97. Ladó, L. (1986). Organization theory and methodology. The organization function of management. Budapest, Közgazdasági és Jogi Könyvkiadó. Lassere, P. & Ching, P & S. (1997). Human Resource Management in China and the localization. Journal of Asian Bussiness, 4, 85-99. László, Gy. (2003). Systems of Labor Relations. In: Karoliny M. & né., & Farkas F., & László Gy., & Poór J. (eds. ): Human Resource Management Handbook. Budapest: KJK-Kerszöv Publishing Co.
	László, Gy. & Poór, J. (2003). Reward management. (In Hungarian) In: Karoliny, M. & né & Farkas, F & László, Gy. & Poór, J.: Human Resource Management Handbook. Budapest: KJK-Kerszöv Publishing Co.
	Lauter, G. P. (1971). A study of the effects of the new Hungarian economic system on management. Journal of International Business Studies., 2, 1-10. Lavery, B. & Ekman, I. (2005). Europe’s great migration. The International Herald Tribune, October 21, 1, 4. Lavoie, D. & Gulbert, S. A. (1978). Stages of organization and Development. Human Relations, 5, 417-438. Lawler, J. J. (2006). Cultural and Institutional Determinants of HR Systems in International Affiliates of American Multinational Corporations. Institute of Labor and Industrial Relations, University of Illinois. Leonard-Barton, D. (1995). Wellsprings of Knowledge. Boston: Harvard Business School Press. Lévai, Z. & Bauer, J. (2002). Practice of Human Resource Management. (In Hungarian) Budapest: Szókratész Publishing Co..
	Levitt, T. (1983). The Marketing Imagination. New York: The Free Press. Lewin, K. (1933). A Dynamic Theory of Personality. New York: McGraw-Hill Book. Lewin, K. (1948). Self & hatred among Jews. Resolving Social Conflicts. New York: Harper and Row. Lewin, K. (1951). Field Theory in Social Science. New York: Harper-Collins. Lewin, K. (1973). Force Field Analysis. In: Jones, J. E-Pfeiffer, J. W.: Annual Handbook for Group Facilitators. San Diego. Lewis, P. C. (2005). How the East Was Won. New York: Palgrave Macmillan. Limaye, Y. (2012). Cyrus Mistry: Challenges before India’s new Tata chief. http:// www.bbc.co.uk/news/world-asia-india-20752763. Lippitt, G. & Lippitt, R. (1978). The Consulting Process In Action. LaJolla: University Associates Inc.
	Listwan, T. & Stor, M. (2007). Human resource management in Poland. Human Resources Bulletin, May. Lovas, J. (2005). Sándor Csányi about regionalisation of OTP. (In Hungarian). Hungarian Business Weekly (Figyelő), March 17-23, 84-85. Lunde, O. (1994). From personnel management to strategic human resource management. International Journal of Human Resource Management, 3, 687 & 620. Luthans, F., Marsnik, P. A. & Luthans, K. W. (2001). A Contingency Matrix Approach to IHRM. In: Albrecht, M. H.: International HRM Managing Diversity in Workplace. Oxford: Blackwell Business. Mabey, C. & Iles, P. (1993). The Strategic Integration of Assessment and Development. Practices. Succession Planning and New Manager Development. Human Resource Management Journal, 4, 16-33. Maheshvarananda, D. (2004). New destiny of the world – after capitalism. (In Hungarian) Budapest: Ananda & Lotus Publishing Co.
	Maister, D. H. (1993). Managing the Professional Service Firm. New York: Free Press. Makó C., Warhurst, C. & Gennard, J. (eds.) (2003). Emerging Human Resources Practices Development and Debates in the New Europe. Budapest: Akadémiai Publishing Co..
	Makó, Cs., Ellingstad, M. & Kuczi, T. (1997). Regional Innovation System (Regis). Institute for Social Conflict Research & Budapest & HAS, January. Mandle, J. (2001). Reforming Globalization. Challenge, March-April, 24-38. Marginson, P., Buitendam, A., Deutschmann, C. & Perulli, P. (1993). The emergence of the Euro & company: Towards a European Industrial Relations. Industrial Relations Journal, 3, 182-190. Marginson, P., Amstrong, P., Edwards, P. K. & Purcell, J. (1995). Extending Beyond Borders: Multinational Companies and International management of Labour. International Journal of Human Resource Management., 3, 702-719. Máriás, A., & Kovács, S., c Balaton, K., Tari, E., & Dobák, M. (1981). Organisational Analysis of Large Socialist Firms in Hungary. (In Hungarian) Economic Review (Közgazdasági Szemle) July & August. Markham, C. (1999). The Top Consultant. Kogan Page, London. Martensson, M. (2000). A critical review of knowledge management as a tool. Journal of Knowledge Management, 3, 204-216. Mathis, R. L. & Jackson, J. H. (2000). Human Resource Management. South Western. Mathis, R. L. & Jackson, J. H. (2003). Human Resource Management. Mason: Thompson-South Western. Matlay, H. & Fletcher, D. (2000). Globalization and strategic change: some lessons from the UK small business sector. Strategic Change, 9, 437-449. Matus, R. (2005a). Specific characteristics of Japanese HR model. (In Hungarian) Personal Journal (Személyügyi Hírlevél), September. Matus, R. & Poór, J. (2006). Difficulties of Japanese foreign expats faced in foreign posts. (In Hungarian) Labor Review (Munkaügyi Szemle), 2, 20 & 24. McCristy, N. (2002). Creating a learning Organization. Office Solution Magazine, February, 26-29. McFarlin, D. B. & Swenny, P. D. (2003). International Management. Houghton: Houghton Mifflin. McKinsey. (2003). Multinational Company Investment New Horizons: Multinational Company Investment in Developing Economy. New York: McKinsey. McKinsey. (2012). Manufacturing’s new era: A conversation with Timken CEO James Griffith. Mc Kinsey Company, December. Mead, R. (1994). International Management: Cross & Cultural Dimensions. Oxford: Blackwell Business. Meadows, D., Randers, J. & Meadows, D. (2005). Limits of Growth. (In Hungarian). Budapest: Kossuth Publishing Co.
	Meck, G. (2005). With the money of strangers. With money of foreign citizens. (In German) Frankfurter Allgemeine, August 14, 34. Meier, H. & Roehr, S. (2004). Introduction in International management. (In German) Herne-Berlin: Neue Wirtschafts-Briefe. Meleg, A. (2004). Hopeless global worker. Hungarian Daily (Népszabadság) November 24, 12. Mendenhall, M., Dunbar, E. & Oddou, C. (1987). Expatriate Selection, Training and Career Pathing a Review and Critique. Human Resource Management, 26, 331-345. Mercer. (2003). Competency management. Budapest: Mercer Human Resource Consulting. Mercer. (2004a). Consultant report. Budapest: Mercer Human Resource Consulting. Mercer. (2004b). Global Compensation Planning Report. Geneva: Mercer Human Resource Consulting. Mercer. (2004c). Financial Management of Multinational Retirement Plans Survey. London: Mercer Investment Consulting. Mercer. (2005a). Managing India’s HR Environment. Geneva: Mercer Human Resource Consulting, 17. Mercer. (2005b). M & A Human Resource Issues China. Geneva: Mercer Human Resource Consulting. Mercer. (2005c). Cost of Living Adjustment Survey 2004. Geneva: Mercer Human Resource Consulting. Mercer. (2006). Global Compensation Planning Report. Geneva: Mercer Human Resource Consulting. Meyer, K. E. (2000). International Production Networks and Enterprise Transformation in Central Europe. Comparative Economic Studies, 1, 135-150. Miles, I., Coombes, R. & Metcalfe, S. (1999). Services and Innovation. Background Paper for the 6 Countries Programme Workshop. 22-23 April, Manchester. Milkovich, G. T. & Newman, J. M. (2002). Compensation. Ban Ridge: Irwin McGraw-Hill. Mohácsi, G. (1996). Competency model in international environment. (In Hungarian) In: Poór, J.: International Human Resource Management. Budapest: KJK Publishing Co.
	Mohácsi, G. (2003). Competency and Emotional Intelligency. (In Hungarian) In: Karoliny, M. & né & Farkas, F. & László, Gy. & Poór, J.: Human Resource Management Hndbook. Budapest: KJK-Kerszöv Publishing Co.
	Molnár, G. I. (2003). The general tendencies at the labour market in Serbia. (In Sertbian) In: Fábri I. (ed. ): Minorities in Carpathian region. Specific challenges of Hungarian population in labor market. Budapest: Lucidus Publishing Co.
	Morgan, G. (1986). Images of organization. London: Sage. Morgan, P. (1986). International Human Resource Management. Fact or Fiction. Personnel Administrator, 9, 43-47. Morita, A. (1989). Made in Japan. (In Hungarian) Budapest: Árkádia Publishing Co.
	Morley, M. J. & Collings, D. G. (2004). Contemporary debates and new directions in HRM in MNCs. International Journal of Manpower, 6, 487-499. MSZ (1993). ILO Information. (In Hungarian) Labor Review (Munkaügyi Szemle), 9, 40-41. Mullins, L. J. (2005). The Management and Organizational Behavior. Edingburgh: Prentice Hall- Financial Times. Nadler, D. A. (1997). Champions of Change. San Francisco: Jossey-Bass. Nadler, D. A. Gerstein, M. S. & Show, R. B. (1992). Organizational Architecture. San Francisco: Jossey & Bass. Nalbantian, H. R., Guzzo, R. A., Kieffer, D. & Doherthy, J. (2003). Play to Your Strengths. Managing Your Internal Labor Market for Lasting Competitive Advantage. New York: McGraw & Hill. Nelson, J. B. (2001). The Boundryless Organization, Implications fro Job Analysis, Recruitment and Selection. In: Albrecht, M. H.: International HRM Managing Diversity in Workplace. Oxford: Blackwell Business. Ng, K. Y. & Easrly, P. Ch. (2006). Culture + Intelligence: Elf constructions new frontiries. An International Journal Group & Organization Management., 1, 4-19. Nidereicholz, Chr. (1996). Management Consulting, (In German) Münich: R. Oldenbourg. Nohria, N. & Ghoshal, S. (1997). The Differented Network. Organizing Multinational Corporations for Value Creation. San Francisco: Jossey & Bass. Norberg, J. (2003). Defense of Global Capitalism. New York: Cato Institute. Odenwald, S. B. (1993). Global Training How to Design Program for the Multinational Corporation, ASTD. OECD/LEED (2005). Business Clusters: Promoting in Central and Eastern Europe. Paris: OECD. Olfert, K. (2003). Personal management. (In German) Kiehl, Ludwigshafen. Ortega-Gasset, J. (1993). Key Challenges of Present. (In Hungarian) Budapest: Hatágú Síp Foundation. Othman, R. & Teh, C. (2003). On developing the informated work place: HRM issues in Malaysia. Human Resource Management Review, 3, 393-406. Our Way of Doing Bussiness. The Kraft Foods Code of Conduct. 2009. Kraft Foods, 2009, March. Oviatt, B. M. & McDougall, P. P. (1994). Towards a Theory of International Joint Ventures. Journal of International Business Studies, 1, 45-64. Pakulniewicz, M. (2005). Saying goodbaye Russian. Warsaw Business Journal, August 22-September, 4, 22. Pavlinek, P. (2002). The Role of Foreign Direct Investment in the Privatisation and Reconstructing of the Czech Motor Industry. Post & Communist Economies, 3, 359-379. Pearce, J. L. (1991). From socialism to capitalism: the effects of Hungarian human resources practices. Academy of Management Executive, November, 4, 75 & 89. Pearce, J. L., Branyiczki, I. & Bakacsi, Gy. (1993). Person & Based Reward Systems Reward Practices in Reform & Communist Organizations. In: Maruyama (ed. ): Management Reform in Eastern and Central Europe. Dartmouth. Peng, M. W. (2006). Global Strategy. Mason: Thomson & South Western. Perkins, S. J. & Shortland, S. (2005). Strategic Human Resource Management. London: Kogan Page. Perlitz, M. (2004). Internationational Management. (In German) Stuttgart: Lucius & Lucius. Perlmutter, H. V. (1969). The Tortuous Evolution of the Multinational Corporation. Columbia Journal of World Business, January-February, 9-18. Peters, T. & Waterman, R. (1982). In Search of Excellence Lessons from America’s Best-run Companies. New York: Harper & Row. Pfeffer, J. (1994). Competitive advantage through people. Boston: Harvard Business School Press. Pfeffer, J. (1995). Producing sustainable competitive advantage through the effective management of people. Academy of Management Executive, 9, 55-69. Phatak, A. V. (1983). International Dimensions of Management. Boston: PWS & Kent. Phatak, A. V. (1989). International Dimensions of Management. Boston: PWS & Kent. Piispanen-Krabbe, T. K. (1990). Yankee Traders in the New Europe: Recent Experiences in the Eastern Bloc. International Executive, 3, 29-32. Pinto, D. (1999). Intercultural Communicatie. Diegen: Houten. Pléh, Cs., Kovács, Gy. & Gulyás, B. (2003). Cognitive Neurology. Budapest: Osiris Publishing Co.
	Polanyi, M. (1967). The tacit dimension. Garden City: Anchor Publishing. Poole, M. (1986). Industrial Relations: Original and Patterns of National Diversity. London: Routledge. Poole, M. (1990). Editorial: human resource management in an international perspective. International Journal of Human Resource Management, 1, 1-16. Poor, J. (1995). Pay and Compensation in Acquired Firms. (Conference proceeding) Strategic Human Resource Seminar of ESIAM, Brussels, 18th-20th March. Poór, J. (1996). International Human Resource Management. (In Hungarian) Budapest: Közgazdasági & Jogi Publishing Co.
	Poór, J., Farkas, F., Karoliny, M. & né. (1999). (eds.). Human and Personal Management. (In Hungarian) Budapest: KJK Publishing Co..
	Poór, J. & Roberson, M. (2003). Global development: Effectiveness of Human Resource Management at Hungarian Firms. (In Hungarian) Hungarian Management Science (Vezetéstudomány), 1, 13 & 19. Poór, J. (2003). HR at Levi Straus. In: Karoliny et al. Human Resource Management Handbook. Budapest: KJK-Kerszöv Publishing Co..
	Poór, J. & Gyurkó, Zs. (2004). Employee Satisfaction in Hungary. (In Hungarian) Personal Journal (Személyügyi Hírlevél), October, 40-48. Poór, J. & Tódor, M. (2003). Modern Employment of the Labour Force & Increase in Operational Effectiveness in Highlights of EU Accession in Hungary. New York: Mercer Research Insight. Poór, J. (2005). Internationalisation and globalisation in Human Resource Management. (In Hungarian) Harvard Business Manager, December- January, 68-78. Poór, J. (2005). Model of job evaluation in states of former Yugoslavija. (In Hungarian)(unpublished manuscript) Budapest: Mercer Human Resource Management. Poór, J. (2005). Past, Present and Future of Human Resources Management in Foreign Owned Subsidiaries in Hungary (1998-2004). Current Issues of Change Management: Challenges and Organisational Responses, University Pécs-Ohio State University Conference, Pécs, 5, May, 31-41. Poór, J., Karoliny, M. & né. (2005). Convergences and Divergences in HRM. (In Hungarian) Hungarian Management Science (Vezetéstudomány), October: 25-38. Poór, J. & Engle, A. (2005). Compensation in the CEE Region: Moving from Traditional to Modern. Benefits & Compensation International, 5, 3 & 8. Poór, J. (2006). HR in transition – internationalization in Human Resource Management. (In Hungarian) Budapest: MMPC Publishing Co.
	Poor, J., Engel, A. & Gross, A. (2006). “Organization theory and the post-socialist transformation” Human Resource Management Practices of Large Multinational Firms In Hungary, 1988-2005. (unpublished mansucript). Poór, J., Engle, A. & Gross, A. (2006). Human Resource Management Practices of Large Multinational Firms In Hungary, 1988-2005. (under publication). Poor, J., Roberson, M. & Gross, A. (2006). Global Evolution: HR Effectiveness in Hungarian Companies at the Mid of the First Decade in 21st Century. (Conference Proceeding) VIIIth IFSAM Conference, Berlin, September 28-30. Poór, J., Barasic, A. F., Szlávicz, Á. & Vaupot, Z. (2008). Job Analysis and Job Evaluation Systems in the Countries of Former Yugoslavia. EBS Journal, 1, 85-106. Poór, J., Volosin, M. & Karoliny, M-né. (2011). Human Resource Management at Foreign Subsidiaries in Slovakia in Line with CEEIRT-Survey. Transactions of the Universities of Kosice, Special Issue Devoted to the Conference Innovations of Business Activities VI, Issue 1, pp. 81-87. Poór, J., Nikolić, M., Slavić, A. & Štangl – Šušnjar, G. (2012). HRM under Changes at Foreign Subsidiaries in Serbia in Line With a Central and Eastern European Survey. Strategic Management, 17(1), 42-52. Poór, J., Seres-Huszárik E. & Mura, L. (2012). Theoretical Backgrounds of International Ventures (In Hungarian). Komárno: Selye János University. Poór, J. & Farkas, F. (2012). 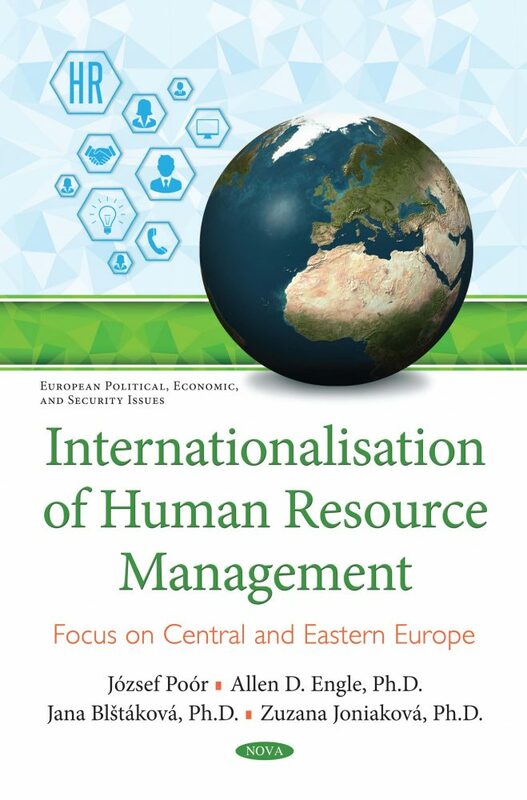 Human Resource Management under Changes In central and Eastern Europe (In Hungarian). Gödöllő: Szent István Egyetemi Kiadó. Poór, J., Farkas, F. & Engle, A. (2012). Human Resouce Management unde Changes at local subsidiaries in Central and Eastern-Europe. Komárno: J. Selye University. Poór, J. (2013). Human Resource Management at Local Subsidiaries in CEE Region (In Hungarian) Hungarian Economic Review (Közgazdasági Szemle), január. Porter, M. (1990). Competitive Advantage of Nation. London: Macmillan. Porter, M. (1990). The Competitive Advantage of Nations. Harvard Business Review, March & April. Porth, S. J. & McCall, J. (2001). Contemporary Management Theory and Catholic Social Teaching: Similarities and Difference. Review of Business, Fall, 8-16. Prahalad, C. K. (2005). The Fortune at the Bottom of the Pyramid. Upper Sadle River: Wharton School of Busines. Prahalad, C. K. & Lieberthal, K. (2004). End of Company Imperialism. (In Hungarian) Harvard Business Manager, February, 45-53. Prahald, C. K. & Doz, Y. L. (1987). The Multinational Mission Balancing Local demands and Global Visions. New York: The Free Press. Pravila ponašanja RZB Grupe, www.raiffeisenbank.rs. Pucik, V. (1985). Strategic Human Resource management in a Multinational Firm. In: Wortzel, H.V. & Wortzel, L.H. : Strategic Management of Multinational Corporations the Essentials. New York: Wiley. Raiffeisen Bank International at a glance, www.raiffeisenbank.rs. Rakić, V. & Momčilović, V. (2003). The Issues of HRM in the Serbian Public Administration. South & East Europe Review, 1, 179-186. Randelsome, C. (2002). Diversity of Europe’s Busines Culture: Under Threat. Cross Cultural Management, November 2, 65-76. Rhinesmith, H. (1993). A Manager’s Guide to Globalization. Six Keys to Success in a Changing World. New York: ASTD & Business One Irwin. Roberts, P. (2004). End of Oil based Economy. (In Hungarian) Budapest: HVG Publishing Co..
	Robock, H. & Kenneth, S. (1989). International Business and Multinational Enterprises. IRWIN. Roehling, M. V., Boswell, W. R., Caligiuri, P., Feldman, D., Graham, M. E., Guthrie, J. P., Morishima, M. & Tansky, J. W. (2005). The future of HR management: Research needs and directions. Human Resource Management, 2, 207-216. Roethlisberger, F. & Dickson, W. (1939). Management and the Worker. Harvard University Press, Cambridge. Ronen, S. & Shenkar, O. (1985). Clustering countries on an attitudinal dimensions. A review and synthesis. Academy of Management Journal., September, 435-454. Roóz, J. & Rozgonyi, T. (2000). Human Resource Management. (In Hungarian) Budapest: PSZF Publishing Co.
	Rousseau, J. J. (1905). Differences amoung Nations. (In Hungarian) Budapest: Franklin Publishing Co..
	Saratoga, (2002). Bencmarking Report: Priorities for Competitive Advantage. A 21st Century Vision: A Worldwide Human Resource Study. Santa Clara: Saratoga Institue. Sárkány, V. (1999). Interview with Atta Úr & Rahman. (In Hungarian) In: Erdélyi A.: 21 scientists from 21st century. Budapest: Tertia. Scarbrough, H. & Carter, C. (2000). Investigating Knowledge Management. London: CIPD. Schein, E. H. (2002). Consulting: What should it Mean? In: Clark, T. and Fincham, R.. Critical Consulting. Oxford, Blackwell Business. Schein, E. H. (1999). Process Consultation. Reading-MA, Assison-Wesley. Scherm, E. (1999). International Personal Management. (In German) München-Wien: Oldenbourg Publishing Co..
	Scherm, E. & Süss, S. (2003). Personal Management. (In German) Munich: Vahlen Publishing Co.
	Schleicher, I. (1989). Benchmarking in Empirical Organisation Research. (In Hungarian) Hungarian Management Science (Vezetéstudomány), 11, 32 & 39. Schoppe, K. (1992). Compendium of International Business Administration: Oldenbourg Verlag, Munich. Schuler, R. & Dowling, P. J. (1988). Survey of SHRM Members. Stern School of Business New York Universities, New York. Schuler, R. S. (2000). The internationalization of human resource management. Journal of International Management, 6, 239-260. Scott, W. R. (1995). Institutions and Organizations. Thousands Oaks: Sage. Scullion, H. & Brewster, C. (2001). The Management of Expatriates Messages from Europe. Journal of World Business, 4, 346-366. Selmer, J. (2001). Expatriate selection: back to basics? International Journal of Human Resource Management, 8, 1219-1234. Selmer, J., Torbiön, I. De Leon, C. T. (1998). Sequetial Cross & cultural Training for Expatriate Business managers. Pre & departure and Post & arrival. International Journal of Human Resource Management, 5, 831-840. Senge, P. M. (1990). The Fifth Discipline: The Art and Practice of the Learning Organization. New York: Doubleday-Currency. Shankar, J. (2003). Growth Surgue Drives Subcontinent Boom. The Australian, 17 June, 34. Sheksnia, S. & Puffer, S. M. (1997). Rus Wane Equipment Joint Venture in Russia. In. : Francesco, A. M., & Gold, B.A. : International Organisational Behaviour. Upper Saddle River: Prentice Hall. Shekshnia, S. (1998). Western Multinationals’Human Resource Practices in Russia, European Management Journal, 4, 460-465. Shenkar, O. & Nyaw, M. K. (1995). The Interplay of Human Resources in Chines & Foreign Ventures. Shenkar O. (ed): Global Perspectives of Human Resource Management. Prentice Hall: Englewoods Cliffs. Simeon, R. & Fujio, K. (2000). Cross Cultural adjustment strategies of Japanese spouses in Silicon Valley. Employee Relations, 6, 594-661. SourcingLine Report, Top Outsourcing Countries (2011). www. sourcingline.com/ top-outsourcing-countries. Sparrow, P. & Hiltrop, J. M. (1994). European Human Resource Management. Hemel Hempstead: Preentice Hall. Steele, F. (1975). Consulting for Organizational Change. Amherst. University of Massachusetts Press. Stewart, T. A. & O’Brien, L. (2005). Transforming and Industrial Giant. Harvard Business Review, February, 115-122. Steyn, G. M. (2003). Creating Knowledge through Management Education: A Case Study of Human Resource Management. Education, spring, 514-532. Stocker, F. (2005). 2005 Survey the Global Business Outlook. Arlington: Manufacturers Alliance MAPI. Stojanović, N. (2005). The selection of aplicants in the function of human resource management. (Diploma work) Subotica: University of Novi Sad & Faculty of Economics Subotica. Stopford, J. M. & Wells, L. T. (1972). Managing the Multinational Enterprise, Organization of the Firm and Ownership of Subsidiaries, New York. Storey, J. (1992). Development in Human Resource Management. London: Blackwell. Sull, D. N. & Wang, Y. (2005). Made in China. Boston: Harvard Business School. Sun, Q. (2003). Economic globalization affecting economic development of East & Asia. International Journal Asian Management, 2, 1 & 13. Suntari, R. (2001). Organizing for the New Economy. CMA Management, April, p. 12. Surányi, S. (2001). Resources and population growth in a global economy. (In Hungarian) Budapest: Aula Publishing Co..
	Susánszky, J. (1974). Introduction to the methodology of industrial engineering. Budapest, Tankönyvkiadó. Šušnjar, G. (1995). Science of labour and organisation. (In Serbian) Subotica: University of Novi Sad & Faculty of Economics Subotica. Susnjar, G. S. & Zimanji, V. (2005). Human Resource Management. (In Serbian) Subotica: Ekonomski fakultet Subotica & Univerzitet u Novom Sadu. Sveiby, K. E. (1997). New economy of new organisations: Managing knowledge. ( In Hungarian) Budapest: KJK & Kerszöv Publishing Co..
	Svetlik, I., Alas, R. & Kohont, A. (2006-2007). The development of personnel function in Estonia and Slovenia. Személyügyi Hírlevél, part 1 (December-January), part 2 (February). Svetlik, I., Barisic, A. F., Kohont, A., Petkovič, M., Mirič A. A., Vaupot, Z. & Poór, J. (2010). Human Resource Management in the Countries of the Former Yugoslavia. Revista de Management Comparat - Review of International Comparative Management, (5), pp. 807-833. Szabó B. (2005). Bridgestone sets up factory in Tatabánya. (In Hungarian) Hungarian Daily (Népszabadság), May 10, 12. Szabó, Á. (2005). Skilled labor for high price. (In Hungarian) Market and Profit Journal (Piac & Profit), September, 12-13. Szabo, M. (2004). Globalisation, regionalisation, civil sociaty. (In Hungarian) Budapest: Századvég Publishing Co.
	Szalai, E. (2001). Economic life and sociaty in new Hungarian capitalism. (In Hungarina) Budapest: Aula Publishing Co..
	Taylor, E. (1871). Origions of Culture. New York: Harper & Row. Taylor, F. W. (1947). Principles of Scientific Management. New York: Harpes & Row. Taylor, S., Beechler, S. & Napier, N. (1996). Toward an integrative model of strategic international human resource management. Academy of Management Review, 21, 959-985. Thomas, K. (2004). The pursuit of performance. Understanding Performance Management. Financial Times, October, 6, 2-3. Thurow, L. C. (1996). The Future of Capitalism: How Today. New York: Penguin Books. Tichy, N. M. & DeRose, Ch. (2002). The Death and Rebirth of Organizational Development. In: Chowdhury, S. : Organization 21C: Someday All Organizations Will Lead This Way. New York: Financial Times-Prentice-Hall. Torbjörn, I. (1982). Living Abroad: personal Adjustment and Personnel Policy in the Overseas Setting. New York: Wiley & Sons. Toth, A. (1998). FDI and Industrial Relations in Central and Eastern Europe: The Exceptional Case of the Hungarian Airline. International Journal of Manpower, 2, 115-124. Tóthné, S. G. (Ed.) (2000). Human Resource Economics. (In Hungarian) Miskolc: Bíbor Publishing Co.
	Trompenaars, F., Hampden & Turner, C. (1997). Riding the Waves of Culture. London. Tung, R. (1981), Selection and Training of Personnel for Overseas Assignments. Columbia Journal of World Business, 16, 68-79. Tung, R. L. (1998). A Contingency Framework of Selection and Training of Expatriates Revisited. Human Resource Management Review, 1, 23-37. Tung, R. L. (2005). New Era, New Realities: Missings on a New Research Agenda from an Old Tiger. Asian Pacific Journal of Management, 22, 143-157. Tung, R. L. (1982). Selection and training procedures of US, European and Japanese multinationals. California Management Review, 1, 57-71. Tung, R. L. & Worn, V. (2001). Network Capitalism: The Role of Human Resource s in the Penetrating China Market. International Journal of Human Resource Management, 4, 517 & 534. Ulrich, D. (1998a). Delivering Results. Boston: Harward Business Review Book. Ulrich, D. (1998b). Human Resource Champions. Boston: Harvard Business School Press. Ulrich, D. & Dale, L. (1991). Organizational capability: Creating competitive advantage. Academy of Management Executive, 5, 77-92. Ulrich, D., Losey, M. R. & Lake, G. (1997). HR Tomorrow’s Management. New York: John Wiley & Sons. UN (2005). Unlocking Human Potential for Public Sector Performance. New York: United Nations. UNCTAD. (2003). World Investment Report: Transnational Corporations and Export Competitiveness. Geneva: United Nations. UNCTAD. (2008): World Investment Report, 2007: Transnational Corporations and Export Competitiveness. Geneva: United Nations. UNCTAD. (2010). World Investment Report, 2010. Geneva: United Nations. UNCTAD. (2012). World Investment Report 2012-Towards a New Generation of Investment Policies. Geneva: United Nations. Varga, K. (1983). Empirical evidences of organisational cultures. (In Hungarian) Ergonómia, 3. Varga, K. (1986). Evolution in Hungarian Organisational Psychology, 1965-1985. Valóság, 40 & 48. Vatchkova, E. (2001). The speed of changes – Bulgarian way to integrated European HRM. V the Chemnitz East Forum - Human Resource Management in Transition -, Chemnitz: University of Technology, 21-23, 03. Walsh, N. P. (2005). Bush friend linked to top job in Russian oil industry. Guardian, December 14. Wassener, B. (2005). Metro invets havily in growth. Financial Times, March 23, 23. Welch, D. (1998). The psychological contract and expatriation: A disturbing issue for IHRM Proceedings of the Sixth Conference on International HRM, Paderborn, June. Welch, J. & Welch, S. S. (2005). Winning. New York: Harpers Business. White, R. & Poynter, T. (1984). Strategies for foreign-owned subsidiaries in Canada. Business Quarterly, Summer, pp. 59-69. Wild, J. J., Wild, K. L. & Han, J. Cy. (2003). International Business. New Jersey: Prentice Hall. Wiley, C. (2002). HR Practices and Trends in Ireland 2001 & 2002 National Survey. Dublin: Charted Institute of Personnel and Development Ireland. Williamson, P. J. (2004). Winning in Asia. Boston: Harvard Business School. Willis, H. I. (1984). Selection for Employment in Developing Countries. Personnel Administrator, 7. Wood, D. (1985). The uses and abuses of personnel consultants. Personnel Management, October, 41. World Bank. (2002). Transition the First Ten Years. Washington: The World Bank. WRA. (2004). World Reference Atlas. Dorling Kinderley Carthography. WST. (2006): Hot Topic. As G-8 meets, What is Russia`s Role in the World. The Wall Street Journal, Saturday/Sunday, July 15, A6. Zhang, M. (2003). Transferring human resource management across national boundries. Employee Relations, 6, 613-626. 5.	http:// www.danas.rs/ danasrs/ekonomija/u_obrazovanju_za_amerikom_ kasnimo _pola_veka_.4.html?news_id=227219. This predetermines the monograph valuable material for researchers in the field of HRM related disciplines, as well as for teachers and students of graduate programs in business economics and management, and HR leaders in business practice.